Premium netbook showdown – is the extra cost worth it? The term “premium netbook” initially sounds like a self-contradiction, particularly given the evolution of this particular species. After all, netbooks were conceived not just to be small and light — they typically weigh two-and-a-half to three pounds — but also inexpensive. 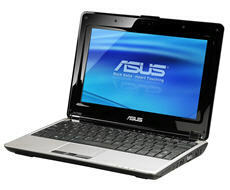 For instance, the Asus Eee PC, the first successful consumer-oriented netbook, cost $400, and there are now equivalent or better systems available for less than that. However, since the initial release of the Eee PC, vendors followed one of the unwritten laws of technology: When something is successful, add features and increase the price. It didn’t take long before high-end — and more-expensive — netbooks were hitting the market. Most recently, though, prices of these high-cost netbooks have dropped, largely because of the reluctance of consumers and enterprises to make new purchases in the current economy. Here, we take a close look at four premium netbooks that range from $440 to $900. While netbooks were initially pitched as inexpensive devices for school kids and mobile users who need to access the Internet while on the go, these higher-end devices have been edging closer to the functionality of traditional larger notebook computers. They start with the slightly-better specs of most netbooks today. Instead of the 7-in. display of the original Eee PC, they typically have screens that are a bit more than 10 in. Instead of Linux, they frequently come with Windows XP. But they add Bluetooth connectivity, hard drives or solid-state drives with more capacity than what’s available in most of today’s netbooks, and more. Still, while the capabilities of premium netbooks have expanded, they remain small and light and still aren’t very powerful. For example, all the netbooks we reviewed in this roundup use low-power chip sets such as Intel Corp.’s Atom processor, and they come with only 1GB of RAM. To pit these netbooks against one another, we performed a series of tests on each system to see how they stacked up. After weighing, measuring and checking out each system’s components, we looked over the assortment of ports and features that each provides. We timed how long it took each system to fully boot up. We then ran PassMark Software Pty.’s Performance 6.1 benchmark test. This program involves all the major components of the netbook and provides an overall score that indicates its performance potential. After firing up each netbook’s Wi-Fi to connect it with a network, we tuned in to an Internet radio station. With each system fully charged, we ran the battery down while playing an Internet radio station with the system’s audio level set to three-quarters. Another thing that has not changed is the underlying question that has always been asked about netbooks: Are they worth buying in light of the increasing popularity and power of smartphones and the availability, for just a couple hundred dollars more, of low-end notebook computers with 13- and even 15-in. displays? Are their keyboards usable for tasks beyond typing brief e-mail messages and Web addresses, and are their displays big enough for extended work sessions? And do their batteries store enough juice to be useful for road warriors? To help you decide, we took a close look at four premium netbooks from Asustek, Hewlett-Packard, Samsung and Sony (because we couldn’t get a review unit of the Sony Vaio P in time for this roundup, we looked at a working shelf model in a local store). We ran all four through performance tests and put all but the Sony through a battery test, in which we measured how long it took to run down the battery while using the device’s built-in Wi-Fi for streaming music from the Web. Equally important, we looked closely at usability issues, such as how pleasant it is to use the keyboard for extended sessions of typing. With its EeePC line of small systems, Asustek Computer Inc. did a lot to invent the netbook. Now it refines the genre, taking it upscale with its first-rate N10Jc. While the N10Jc combines a slew of premium features, chrome accents and flexible performance, this $650 device is anything but small, light and cheap. Weighing 3.5 lb. (4.1 lb. with its small AC adapter), the N10Jc is seven-tenths of a pound heavier than the Samsung NC-10 and stretches the definition of a netbook. At 1.5 by 10.7 by 8.1 in., the N10Jc is also thicker, wider and longer than the others. On the other hand, this is the bling king of netbooks — there is no shortage of chrome accents on the hinges, switches and buttons. Unlike the basic (and some premium) netbooks, it also comes with accessories, like a soft bag, cleaning cloth, video cable and Velcro cable ties. Along with the NC-10 and MiniNote 2140, the N10Jc follows the standard netbook recipe with a 1.6-GHz Intel Atom processor, 1GB of RAM and a 160GB hard drive. To that, Asus adds top-shelf ingredients, like a fingerprint scanner and Altec Lansing speakers. The N10Jc’s 10.2-in. screen has the luxury of dual-mode graphics. The setup lets you switch between basic Intel 945 video for longer battery life or an nVidia GeForce 9300 engine with 256MB of dedicated graphics memory for peak performance. On the downside, the system needs to reboot to change its graphics engine. For a class of computers with few frills, the N10Jc is connection central, with three USB ports (one more than the MiniNote 2140) as well as two things the others lack: an SPDIF digital audio connector for driving high-end speakers and an HDMI connector for a large-screen display. It also has an Express Card slot, a rarity in this market. I really liked the system’s first-class 17.9mm keys, which were comfortable and accurate to use. The touch pad is big enough to be useful and has a scroll zone on the right. There are also five different levels of performance to choose from. I was able to tune the system’s power to its base level for checking e-mail with maximum battery life, and I changed it to Super Performance (which pulled more power) for working with graphics files. Because the N10Jc provides the ability to adjust the graphics and performance level, it can pour on the power if needed with a 253.0 on PassMark’s Performance 6.1 benchmark, about 25% faster than the NC-10 and MiniNote 2140. That gets you 3 hours and 15 minutes of battery time. When battery life is more important, performance can be dialed back to a sedate 199.0 score (putting it on a par with the others), which increases battery life to 3 hours, 47 minutes. The system comes with Windows XP Home and an excellent assortment of Asus utilities. My favorite is the Splendid Video Enhancement program that let me adjust a variety of screen settings, not just brightness. While the others come with a one-year warranty, Asus provides the peace of mind of two-year coverage and throws in a year of accidental protection and free overnight shipping if the unit needs to be returned. Hewlett-Packard Co. says it is targeting its Mini 2140 netbook at executives who don’t want to carry a full-sized notebook on short trips. That enterprise focus is reinforced by the Mini 2140’s brushed aluminum case, which makes it look like a miniature version of a larger corporate notebook. It also has a smattering of enterprise-like features, such as DriveGuard, which is a built-in accelerometer that automatically parks the head of the 160GB hard drive if it detects the device is falling. 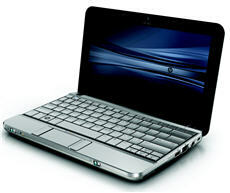 The Mini 2140 comes with Windows XP, sports 1GB of RAM and a standard-issue Intel Atom N270 processor running at 1.6 GHz. It is nicely connective, supporting all flavors of Wi-Fi including 802.11a, which was deployed primarily in enterprises, as well as 802.11b/g/n. It has a couple of USB ports, an Ethernet plug-in, a port for an external VGA monitor, a built-in VGA Web cam and even an ExpressCard/54 port and Secure Disk slot for expansion cards. At roughly 6.5 in. deep and 10.3 in. wide, the Mini 2140 is more svelte than the other devices. But despite its small size, it is comparatively heavy, weighing in at 2.9 lb. with the standard three-cell battery. Applications such as a Web browser and the included trial version of Microsoft Word seemed to load relatively quickly, and more objectively, the Mini 2140 had a respectable overall score of 198.3 in the PassMark Performance test. However, despite the Mini 2140’s decent performance — for a netbook — you’ll likely want to use office-like applications only sparingly because of its unsatisfying keyboard. Like its predecessor, the HP Mini-Note 2133, the Mini 2140’s keyboard boasts relatively large aluminum keys that are about 0.75 in. square. However, the key tops are flush with one another and not beveled, as is the case with virtually all other laptops and netbooks. Without this physical separation between keys, touch typing was frustrating. In particular, I found it easy to strike a second key accidentally, such as striking the “i” key when trying to press the adjacent “u” key. The touch pad is generously sized and respond to the touch quite accurately, but the buttons are to the left and right of the pad instead of below, which took some time to get used to. Even if you do use the Mini 2140 for extended tasks like word processing, you won’t do so for long if you’re not near a wall socket. I got only two hours of charge from the standard three-cell battery during the run-down test (which, admittedly, uses up battery power more quickly than typical use). That short battery life was somewhat offset by the device’s so-called FastCharge feature, which recharged the battery to a 90% charge in about 90 minutes, as the company claimed. If battery life is a concern, HP offers a six-cell battery for an additional $30. HP deserves credit for its environmental concern, switching from a standard LCD to a 10.1-in. backlit LED display, which the company says is mercury-free. I found the display to be gratifyingly bright, but text appeared more jagged than on other netbook displays, including devices such as the Samsung NC-10, which uses the same Mobile Intel 945GSE Express chip set. Samsung Electronics Co.’s NC10 is a comparatively inexpensive ($439) but surprisingly feature-rich premium netbook with a bright, crisp 10.2-in. display, an excellent keyboard and standard Bluetooth connectivity. Despite those advantages, however, it was sometimes frustrating to use. The NC10 comes with the commonly used Intel Atom N270 chip set operating at 1.6 GHz and 1GB of RAM. It performed well with a PassMark Performance rating of 201.7. It has a standard 160GB hard drive, three USB ports, VGA and Ethernet ports, and a slot that handles SD, SDHC and MMC flash cards. However, it doesn’t have an expansion slot like the HP Mini 2140’s ExpressCard slot. At 2.8 lb., the NC10 is about the same weight as the other netbooks in this roundup and, at about 10.3 in. wide and 7.3 in. deep, typical size for this class of device. In most ways, the NC10 is quite pleasant to use. Its 10.2-in. LCD was bright and crisp. Most notably, its keyboard was, subjectively, the best I’ve found on any netbook. The keys are well-beveled, with the top of each key being about two-thirds of an inch across. This provided good separation between the keys, which is a boon for touch typists and made the NC10’s keyboard usable for extended periods. The NC10 comes standard with a six-cell battery. As a result, in our run-down tests, the battery lasted an impressive 4 hours and 46 minutes before petering out. But the generously sized keyboard left too little room for the device’s pointing system, which was a significant detriment for comfortable moment-to-moment use. The touch pad is just 2.5 by 1.25 in., which I found too small to use comfortably. One potentially nice feature is that the far right side of the touch pad emulates the wheel of a mouse. Dragging your finger up and down enables vertical scrolling within applications and Web pages. But the touch pad is so small that it was easy during normal use of the touch pad to encroach on that mouse-wheel emulation section, which would start scrolling the page. Worse still, the response to a finger drag often lagged a bit behind the actual finger motion despite adjustments to the touch pad’s tracking speed and touch-sensitivity. Yet another problem with the device’s pointing system is the touch pad’s buttons, which are located on the two ends of a narrow bar positioned horizontally beneath the touch pad. The bar is pivoted in the middle; pressing the left side of the bar emulates pressing the left mouse button and pressing the right side emulates the right mouse button. However, the bar is too narrow and is flush with the rest of the computer, so it wasn’t always easy to know when my finger was in an appropriate location. Plus, the key press on the bar was imprecise so that I sometimes thought I had pressed a button when I hadn’t. Overall, the pointing system significantly detracted from the otherwise enjoyable use of the NC10. Without a doubt, the newest and hardest netbook to get is ironically also the most expensive. Sony Corp.’s $900 Vaio P attempts to raise the netbook bar by putting the emphasis on size, weight and style. Like the buyers who are clamoring for the hard-to-find units, I wasn’t able to get a Vaio P for review. But I was determined to see what all the fuss was about, so on the last snowy afternoon of the winter, I spent three hours at Manhattan’s Sony Style showroom on Madison Avenue, playing with a Vaio P under the suspicious gaze of a security guard. I looked at a unit with a 60GB hard drive, as well as models with 64GB and 128GB solid-state storage modules. After weighing, measuring, playing with and evaluating the three Vaio P devices, I was able to run benchmarks on the hard drive-equipped system. As much a fashion statement as a portable computer, Sony plays a name game with the Vaio P by not calling it a netbook. The company prefers to call it a “lifestyle PC.” In fact, company reps get offended whenever anyone uses the “n” word to describe it. The model I looked at weighed 1.4 lb., half the weight of many of its competitors. At 0.9 in. thick, the Vaio P is impressively slim; the 9.7-by-4.6-in. design makes it roughly the size of a stenographer’s pad or a clutch handbag. Available in four colors with a silver-flecked finish, the look of the unit is exceptional. The Vaio P seems less like a computer than a small, precious object. The technical specs are interesting. 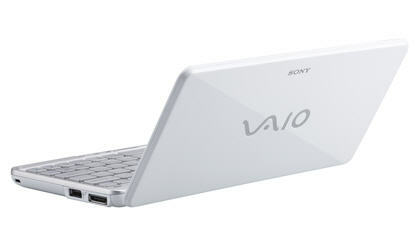 The Vaio P comes with 2GB of RAM — twice the level of the others — but oddly, Sony skimped in other areas. It’s economy-class all the way with a slow 1.33-GHz Atom processor (compared with 1.6-GHz) and a 60GB hard drive (versus 160GB). Models with 64GB or 128GB of solid-state flash storage cost $300 and $600 more, respectively. The Vaio P’s best feature is its high-resolution 7.9-in.-wide screen. Longer and narrower than any other netbook, the display can comfortably handle three open windows at once, and it includes a webcam. Unfortunately, the 16.4mm keys and the touch pad were too cramped for quick and accurate typing. As far as connections go, the Vaio P has two USB ports, a headphone jack, and both an SD and a Memory Stick Duo slot. It doesn’t have a dedicated Ethernet port, but it does have an external port that accepts VGA or Ethernet with an adapter. The device also has 802.11b/g/n Wi-Fi and a built-in webcam/microphone, as well as Bluetooth and GPS — two features that are either not available on other netbooks or are considered optional. Equipped with Vista Home Basic, the Vaio P’s performance (as performed on the store’s display model) was disappointing, with a 79 on the Performance 6.1 benchmark, or between one-half and one-third of the ratings for the other premium netbooks. In an afternoon of near-constant use, this translated for me into sluggish response and having to wait for several seconds for the computer to respond to commands or start up programs. The $900 price tag of the basic model I looked at is easily twice that of the other premium netbooks we looked at in this article. In this age of frugality, it’s enough to make even Warren Buffett blanch. David Haskin is a freelance writer specializing in mobile and wireless issues. Brian Nadel is a freelance writer based near New York and is the former editor in chief of Mobile Computing & Communications magazine.